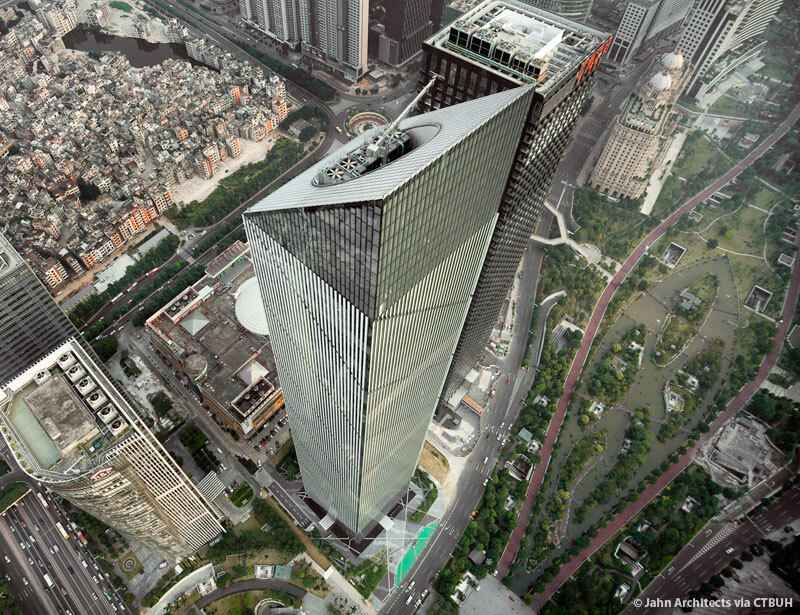 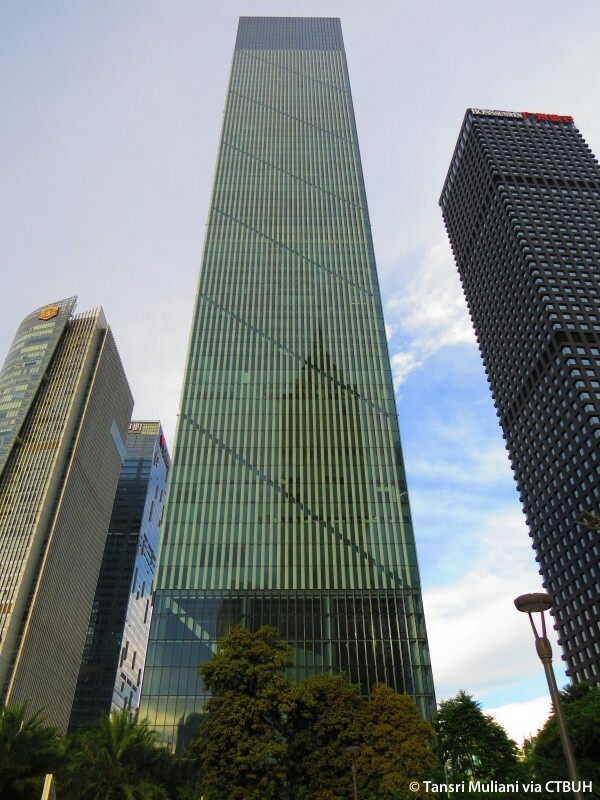 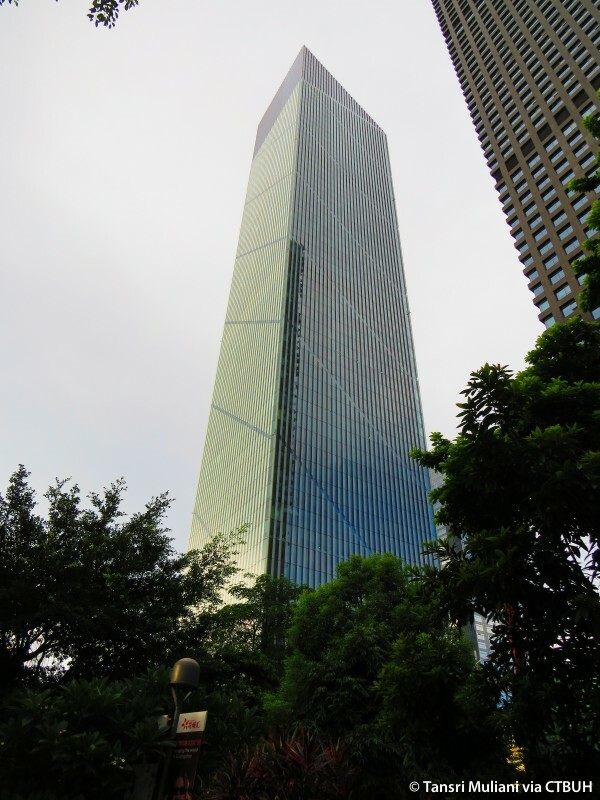 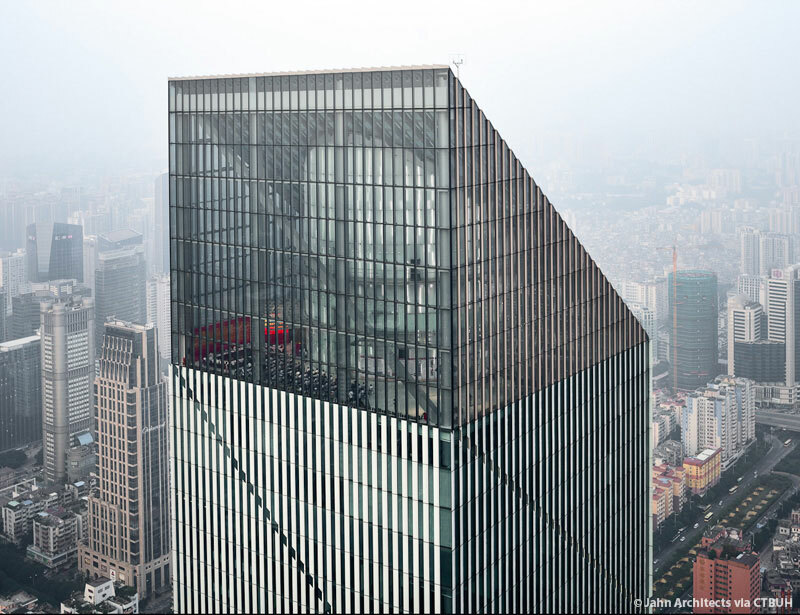 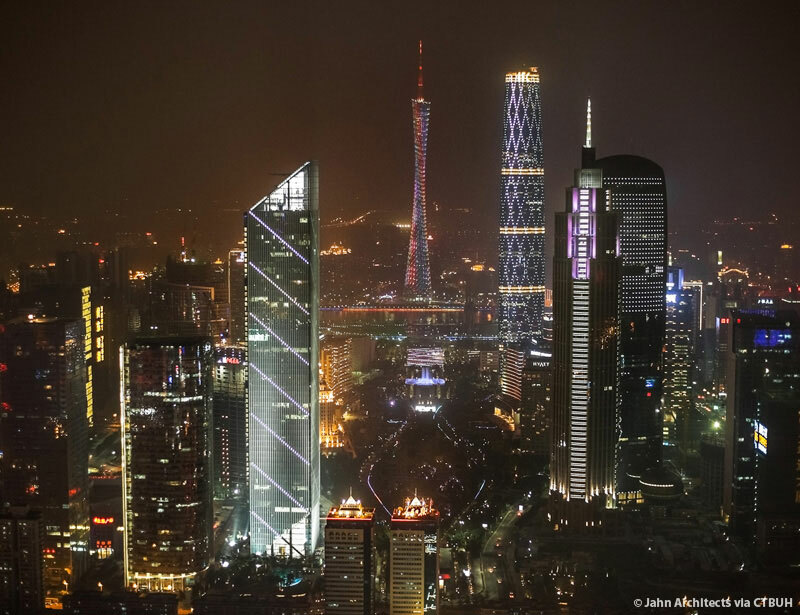 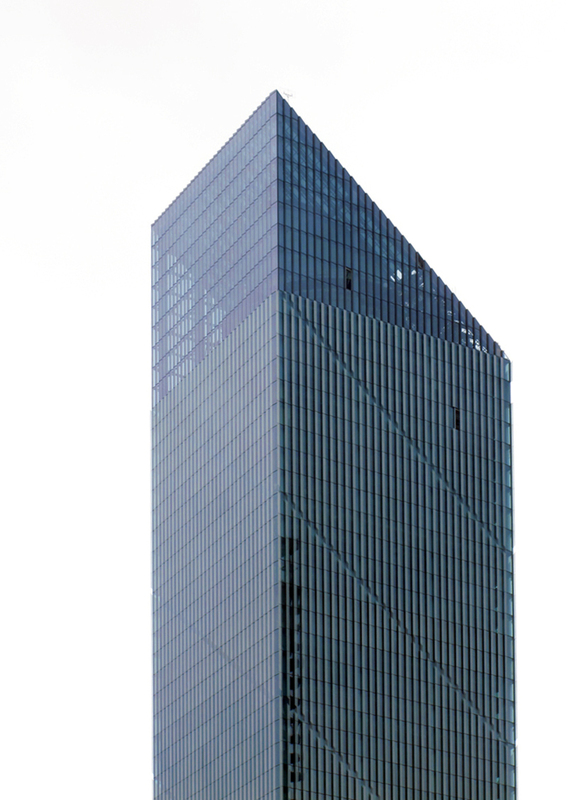 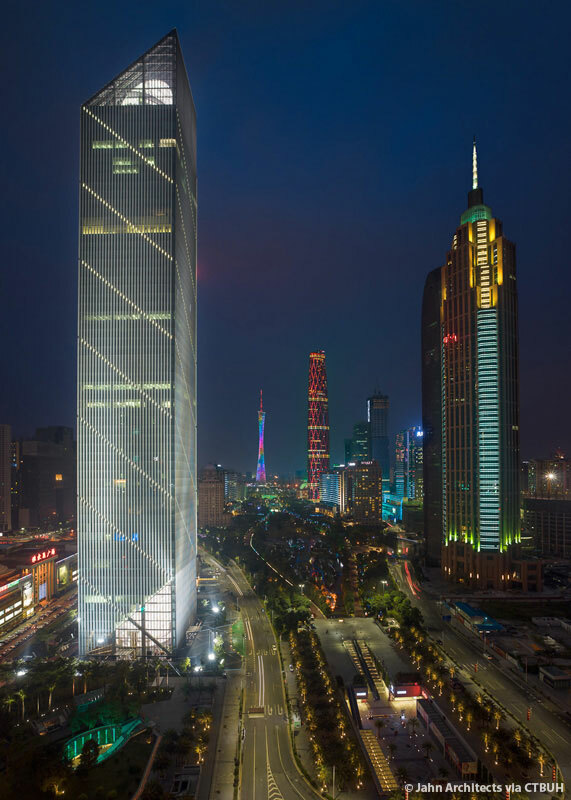 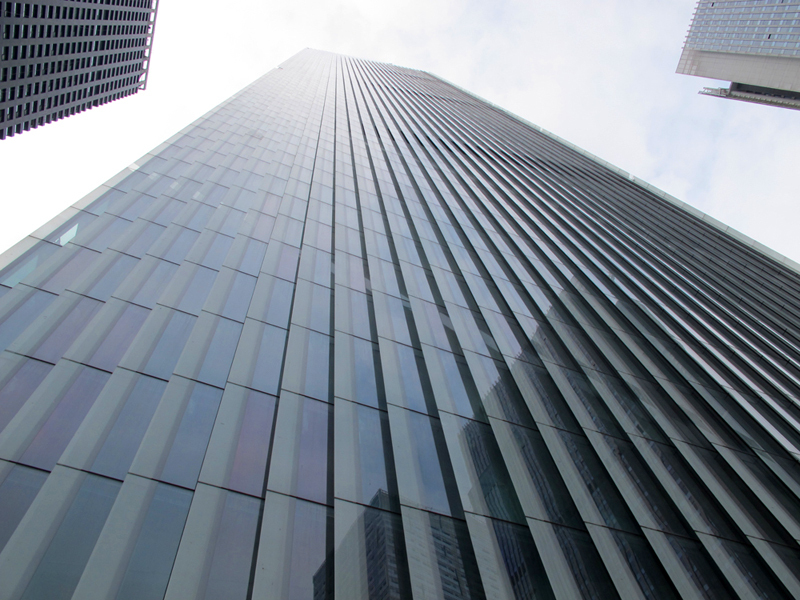 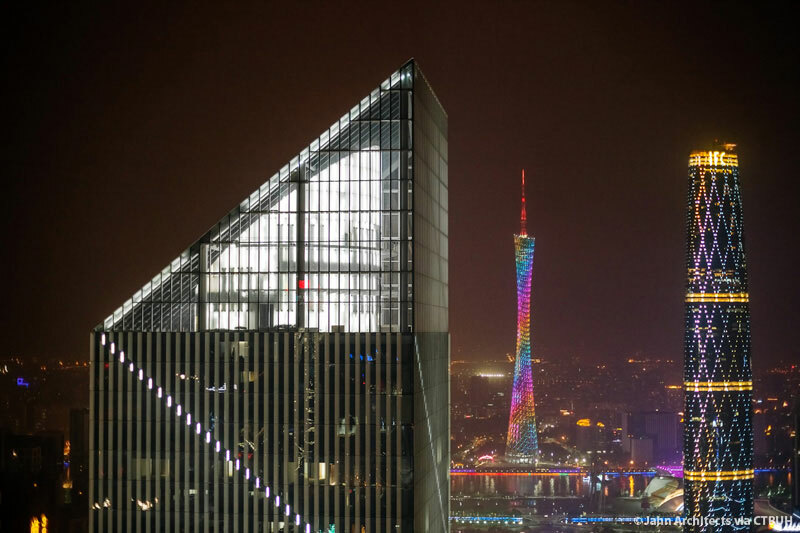 Though the form of Leatop Plaza may come across as straightforward, further inspection reveals the highly technical and energy-efficient façade system which the building employs. 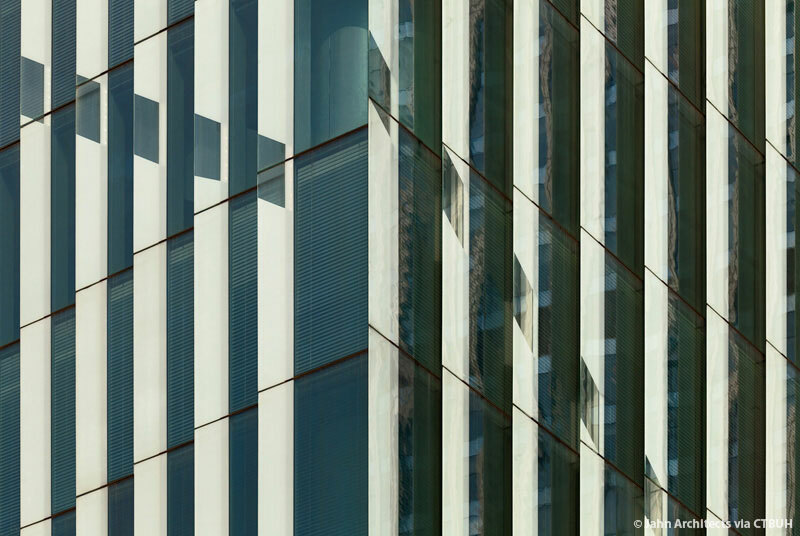 A triple-layer, vertical shingled glazing system with automated solar shades makes up this high-performance and intricate building envelope. 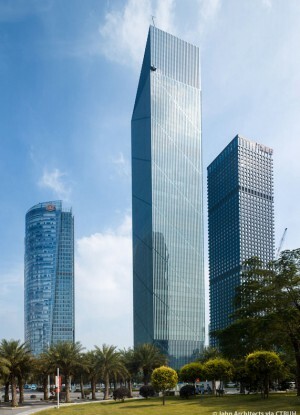 The approach to the tower is landscaped and leads up to a tall, glazed lobby which welcomes visitors. 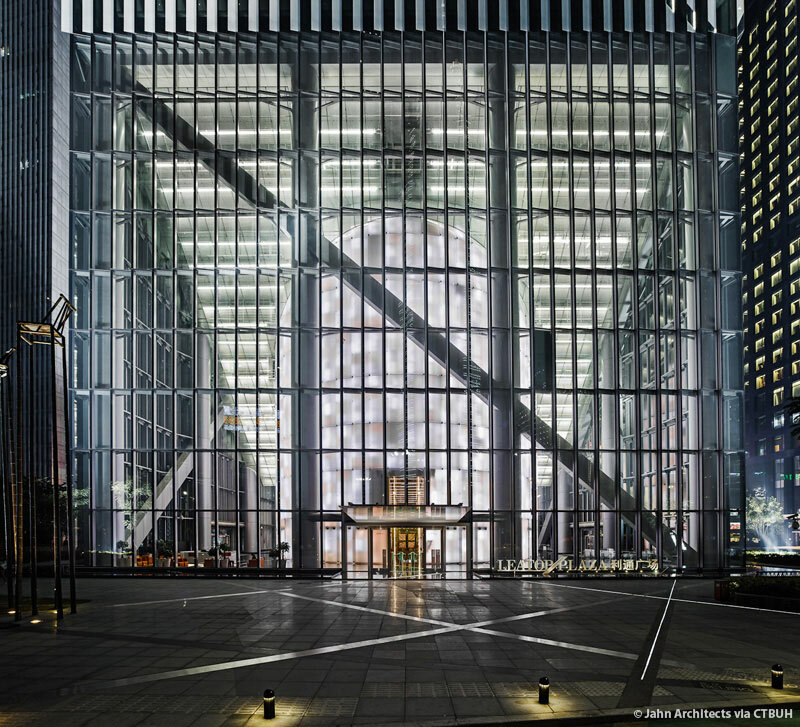 Echoing the canted form of the entrance glazing, the roof line angles to form a roof garden. 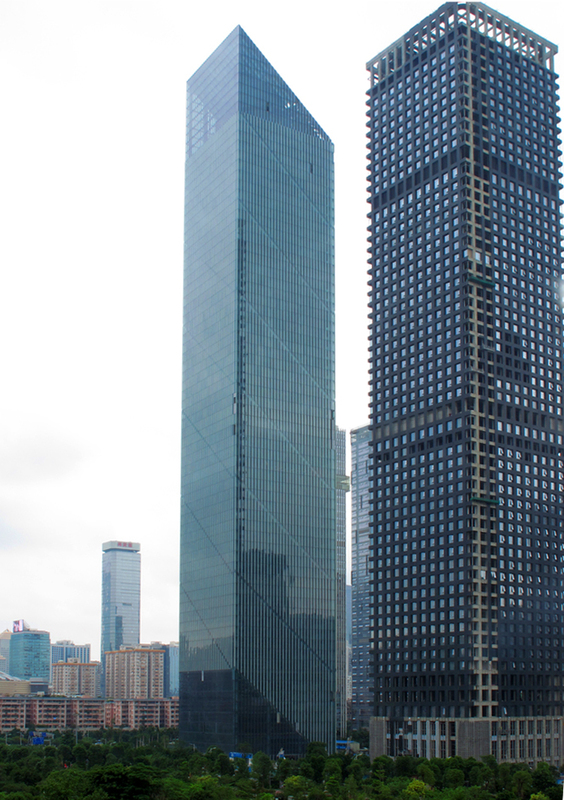 The structural system of the tower relies upon multi-story, composite diagonal bracing instead of a typical concrete core, reducing the necessary wall thicknesses and creating more internal space. 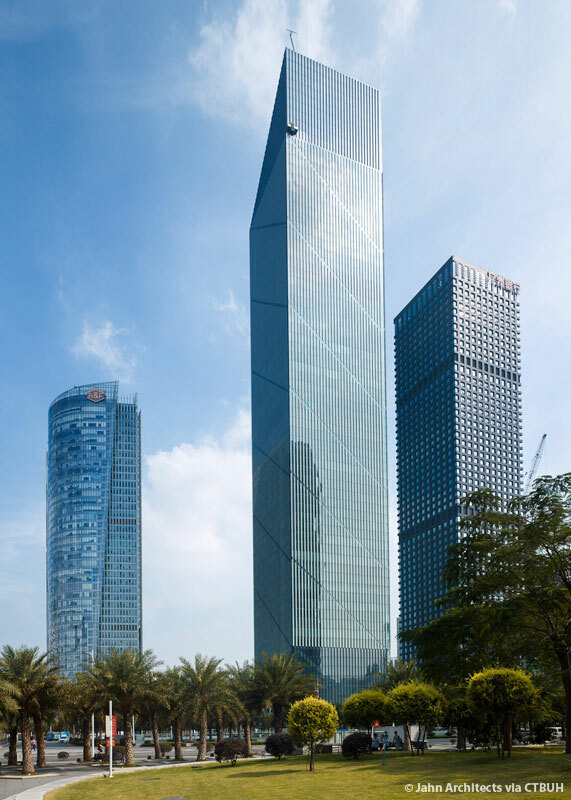 Additionally, the tower strives for a 10% reduction in baseline energy consumption (based on ASHRAE 2007) and a 40% reduction in potable water usage though the high-performance façade, roof- and ground-level landscaping, and rain- and gray-water retention and use.